Make a super, refreshing summer cooler from hibiscus tea, mint and lime. In a heatproof container, pour the boiling water over the hibiscus tea and steep for 20 minutes, so it’s strong. If you use loose tea, strain it or simply remove the bags. Cool. Add the lime juice and simple syrup to the tea. 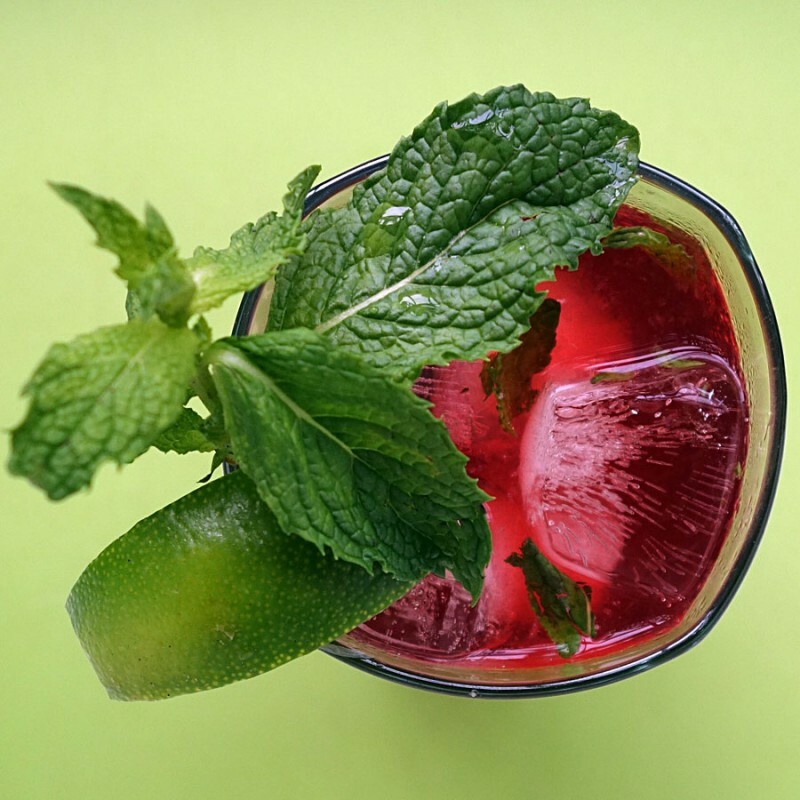 Crush a few mint leaves in a glass, add ice and the hibiscus tea. Garnish the glass with a lime wedge and a mint spring. Add a straw and sip.